We’ve all spent the past few weeks looking up recipes, coordinating meeting spots, and planning fan outfits for one of the most celebrated days of the year—Super Bowl Sunday. It’s a fun day to come together with family and friends, especially since the chaos of the holidays has settled. Yet Super Bowl Sunday has also become one of the most dangerous days to drive on U.S. roads and it’s attributed to impaired driving. 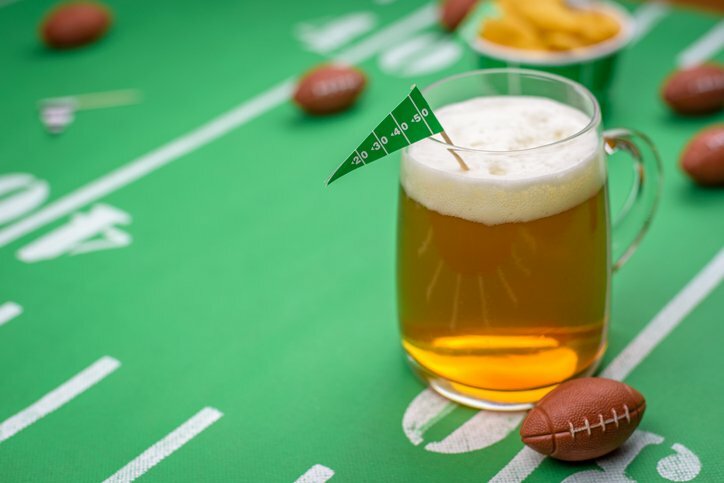 More than 325 million gallons of beer are consumed on Super Bowl Sunday. During the two-week period prior to the Super Bowl, nearly 50 million cases of beer are purchased nationwide. A day-long party to celebrate football can easily turn into an event of too many drinks and not enough planning for post-event travel needs, such as getting home safely. Impaired-driving crashes—and fatalities—can be prevented. Designating a sober driver should be on the top of everyone’s Super Bowl party list, but there are other ways you can help save lives, too. Ask a sober driving to take you home. If it’s a friend also in attendance, give that person your car keys. If you plan on taking an Uber home, schedule your ride through the app in advance. Avoid drinking too much alcohol, too fast—eat enough food, take breaks, and alternate with non-alcoholic drinks. Ask a sober friend for a ride home if you find yourself too inebriated; call a cab, friend, or family member to come and get you, or stay where you are and sleep it off. Keep an eye on your friends. Never let an intoxicated friend leave your sight if you think they might take off. Buckle up. Always use your seat belt—it’s your best defense against other impaired drivers. Ensure all your guests designate sober drivers in advance, or help them get cab/rideshare rides post-event. Plan to serve a variety of food, as well as non-alcoholic beverages. While drunk driving is the major culprit of Super Bowl Sunday accidents on the road, other factors also have a negative effect. Smoking or ingesting marijuana before driving significantly impairs a driver’s ability to focus and react safely. Also, drivers are more likely to be tired after the game, as well as emotional—depending on whether their favorite team wins or loses. Driving at night can also be dangerous due to decreased visibility. Defenses win championships, and your best defense is to plan for a safe game day and a safe ride home. From buses and trains to car services and designated drivers, connect with the option that will get you home safely. And if you see a driver on the road who you suspect is impaired, pull over to a safe spot, call 9-1-1, and give police a description of that vehicle.